We have portions of Alaska pollock fillet available which are made of the Alaska pollock. This type of fish is also known as the walleye pollock and by its Latin name, which is Theragra chalcogramma. You can find the Alaska pollock in the north-eastern part of the Pacific Ocean, which is also known as FAO 61. 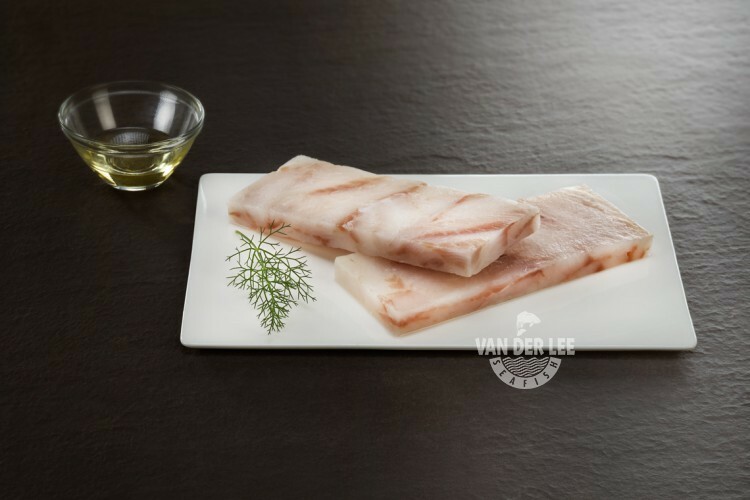 Our Alaska pollock is caught around the Dutch Harbour in Alaska. Since this is quite far away from the Netherlands, we have to import our Alaska pollock from the United States. However, we can ensure you that our Alaska pollock is processed, packed and transported in perfectly hygienic conditions because we know our suppliers personally. When the Alaska pollock is caught, it is filleted and frozen aboard. This is done so that we can ensure that the fish will stay fresh. What’s so special about our portions of Alaska pollock fillet is that they are frozen in blocks and cut into smaller portions. However, we also have Alaska pollock fillets available at our ‘Fish Worldwide’-page and battered Alaska pollock fillets available at our ‘Added Value’-page. The Alaska pollock has a mild flavour and a delicate and flaky texture. Since the flesh of the fish is quite adaptable, it is often used for breaded and battered fish products. One hundred grams of portions of Alaska pollock fillet will contain around 75 calories. However, they will contain more calories when you bread of batter them of course. Since the Alaska pollock is a fish product, it contains also a lot of proteins and B vitamins. Moreover, the fish is also low in fat. As a supplier we export our portions of Alaska pollock fillet mainly to Germany and Belgium. However, the fish is also eaten in a lot of other countries since the fillets of the fish are also used in several dishes in global fast food chains. The portions can be prepared by baking, frying, grilling, steaming and broiling. One way to prepare the Alaska pollock portions is to grill them on the barbecue and serve them with a salad. However, you can also serve the portions with dried tomatoes and tagliatelle or with a creamy dill sauce.